The situation for Saturday’s storm has taken a complete 180 from yesterday night. Models have suddenly switched to scenario 2, a major nor’easter.What we are looking at is an extremely rare event. We have received accumulating snow in October only three other times in recorded history. 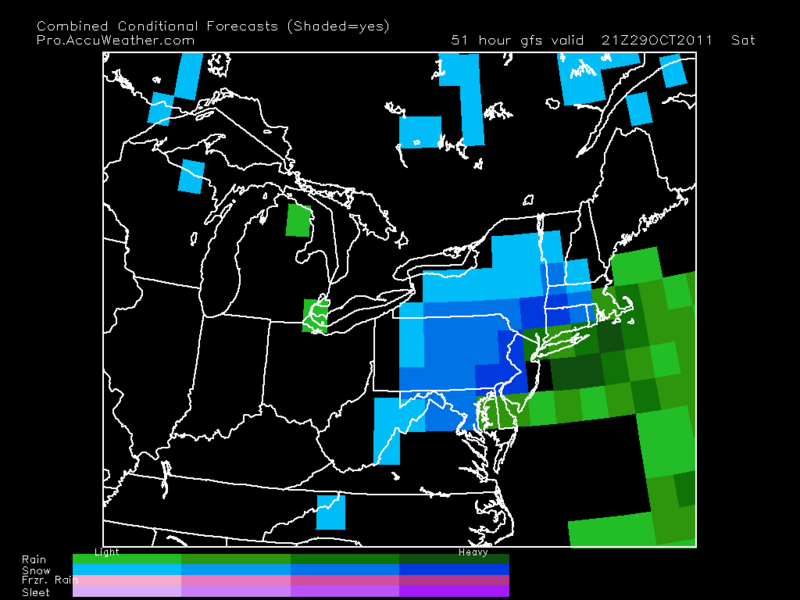 Many of the models are showing a snowstorm that almost looks like it belongs in the middle of January. Because we are in October, the snow totals won’t be extremely high. However, the snow will be heavy and wet. Only 4 inches of heavy wet snow can cause widespread power outages across the area. I recommend to start to prepare for power outages that will last for days in some cases. How much snow? 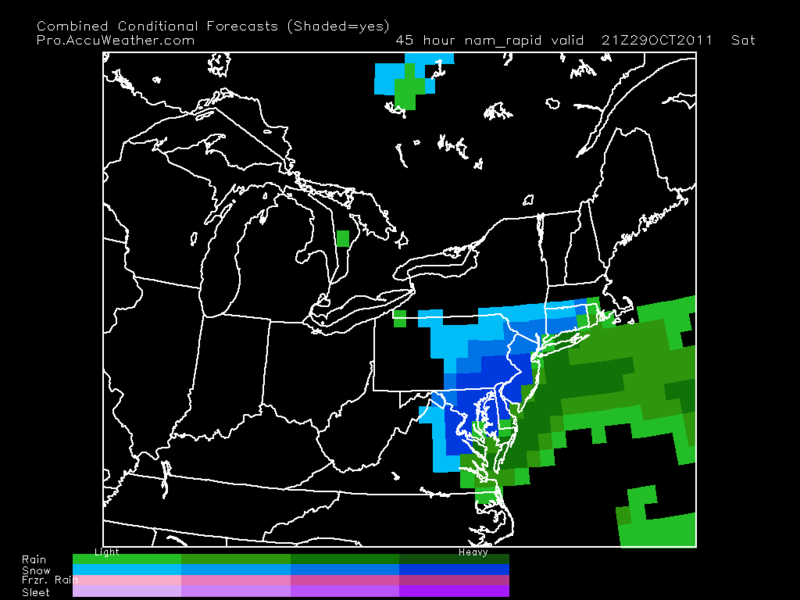 : I am currently thinking a general 2-5 inches for Philadelphia and 3-7 for the NW suburbs. Timing: Precipitation will start Saturday early afternoon as rain. By late afternoon or evening (depending how close the nor’easter is to the coast), the rain will slowly change to heavy, wet snow. Snow should continue to fall until 1 AM Sunday before tapering off. Bust Potential: There is a high bust potential for this storm. Because we are dealing with near freezing temperatures in October, the changeover from rain to snow may be later than originally thought. There is also a small chance that the storm brings in warm air by taking a more westerly path. This scenario would undoubtedly bring down our snow totals. In review, we are looking at a major snowstorm this Saturday that has a potential to cause widespread power outages and disruptions. Snow totals will range from 2-4 inches if the nor’easter takes a westerly path, and 4-8 if the storm takes a more easterly path. I will have more details tomorrow.